The Indian Shrine of Lord Venkateswara in Tirupati has reportedly received Rs 4 crore in old currency notes. The shrine is now trapped in a weird situation and is now seeking providential assistance for a way out. The amount has been received in old Rs. 500 and Rs. 1000 notes within last two months after the deadline for the currency exchange. The Temple’s administration wrote to the government and Reserve bank of India on the incident of accumulated scrapped notes and is waiting for a response now. Devotees coming from the various parts of the country continues to offer the banned currency notes in the hundi along with the valid notes. 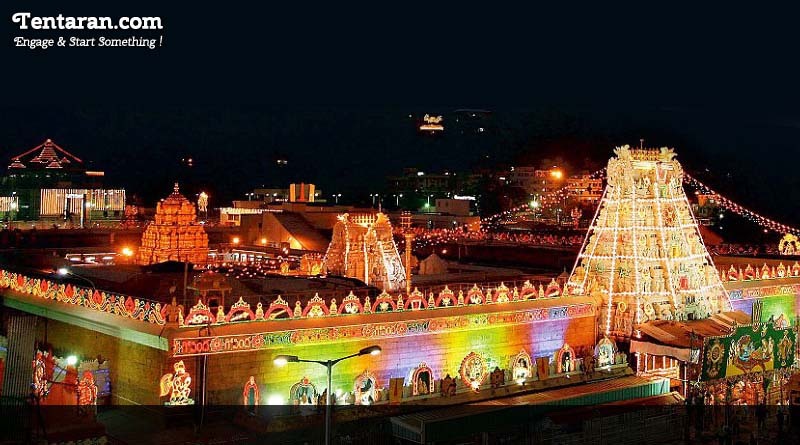 D Sambasiva Rao, Executive office of the Tirumala Tirupati Devashthanams (TTD), said, “We have already written to the RBI and the government about the demonetised notes, offered by devotees as a fulfilment of their vows and are awaiting a reply”. It is a common practice among the devotees to deposit cash in tiny boxes or mud pots kept in Pooja rooms in their houses over a period. Later, they deposit this accumulated cash in the temple hundi whenever they visit the temple. The hundi in the shrine annually nets more than Rs. 1,000 crore, besides gold and silver offerings, a temple official said.